I was looking through a vintage crafting book for inspiration and came across some little triangular boxes that peaked my interest. 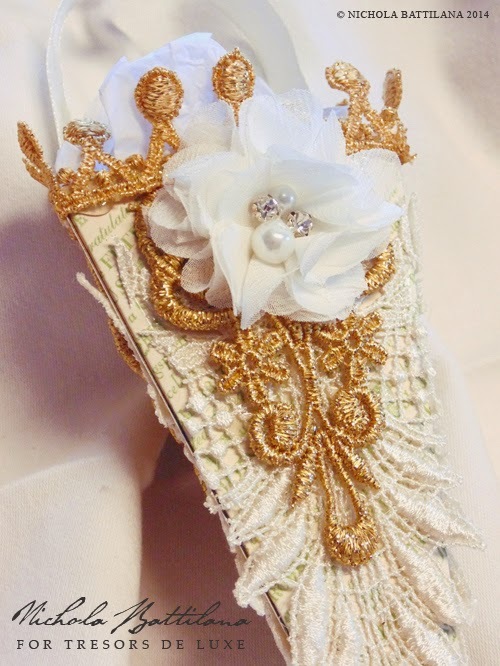 They were called "cornucopia boxes" in the book, but to me they looked like Tussy Mussy's. 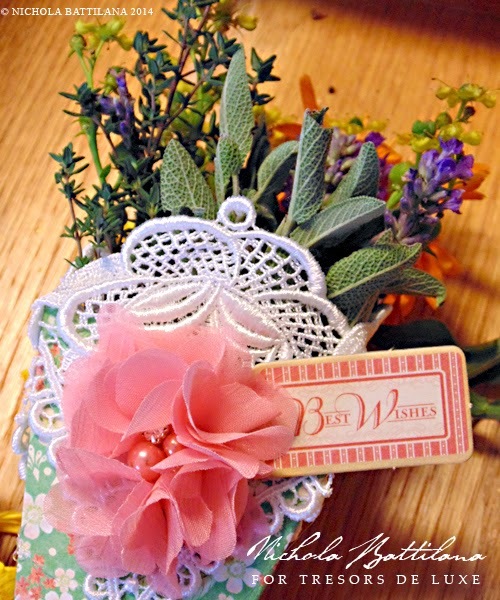 A Tussy Mussy is simply a small vessel, meant to carry little bouquets of flowers, popular during the Victorian era. 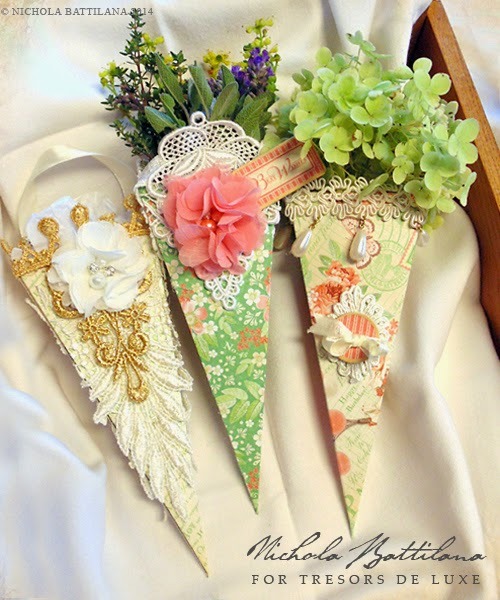 Traditionally they were made out of metal... but I think the Victorian's would forgive these papers versions since they are embellished with plenty of lace. They were popular gifts given by gentleman callers to the object of their affection. I think they'd make a dear hostess gift, or ideal 'thank-you' token. 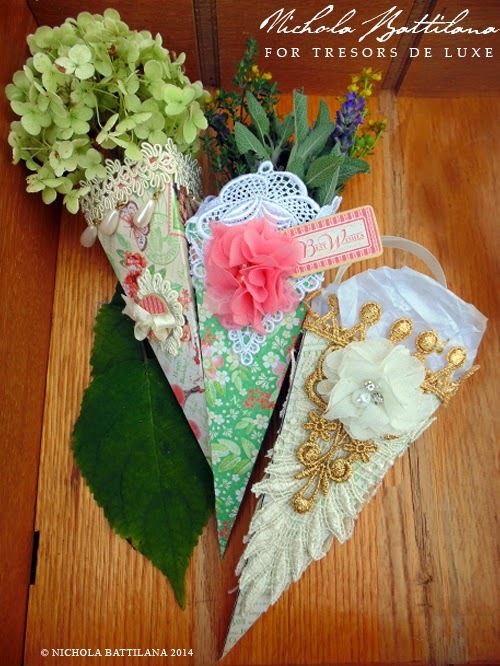 These particular ones were created with Graphic 45's Time to Celebrate and embellished with a variety of laces from Tresors de Luxe, along with some of their very pretty fabric flowers. And if you don't have access to little bouquets of fresh flowers, you could always wrap a sweet little gift in some tissue paper and tuck it safely inside to gift. 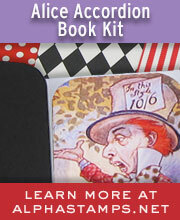 You can learn more about Tussy Mussy's here. These fussy mussy's are fab! 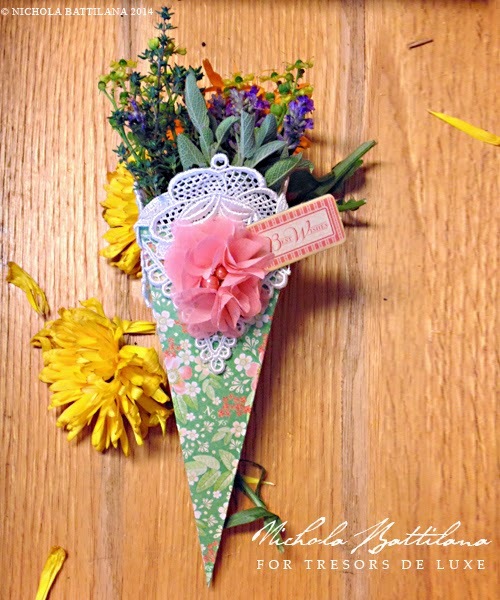 I love how you incorporated the gorgeous lace ino you project! Love your tussy mussys! Especially the final one with all the gold lace on it! OOOO la la! Very scrumptious! TFS! 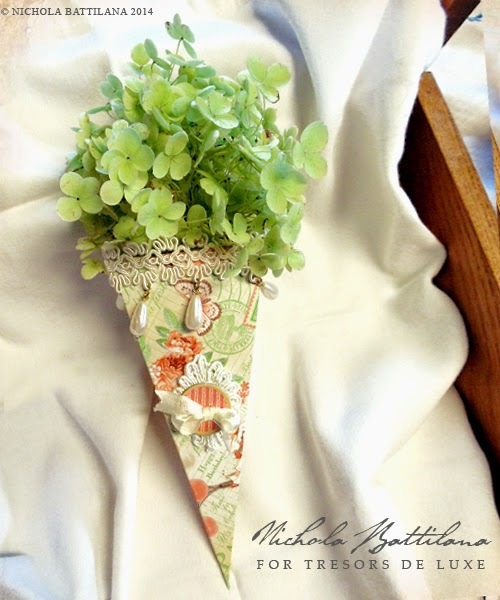 These are beautiful, must try and make one for myself, be lovely with lavender in it. L~O~V~E~ all 3. They are gorgeous! Thank you so much for sharing your Talents with us.